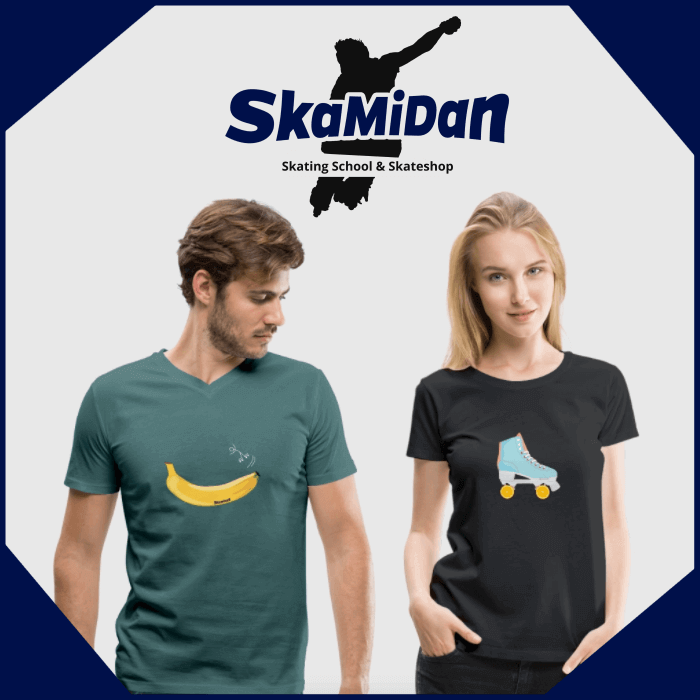 With each purchase of any item of the fan shop you support the project SkaMiDan, the associated skating school and further free online video tutorials. Moreover SkaMiDan promotes the association „Árbol Conrazón“ and is helping by conservation and reforestation of the vital tropical forest. All offered fan articles will be distributed by „Spreadshirt“. This means an international shipping in over 100 countries all over the world. For this reason please note, all fan articles will be added to a separate shopping cart. All articles will be delivered by different locations. Please select your region for a fast and low price delivery.